Note: This is a repost from two years ago, with some notes added throughout. 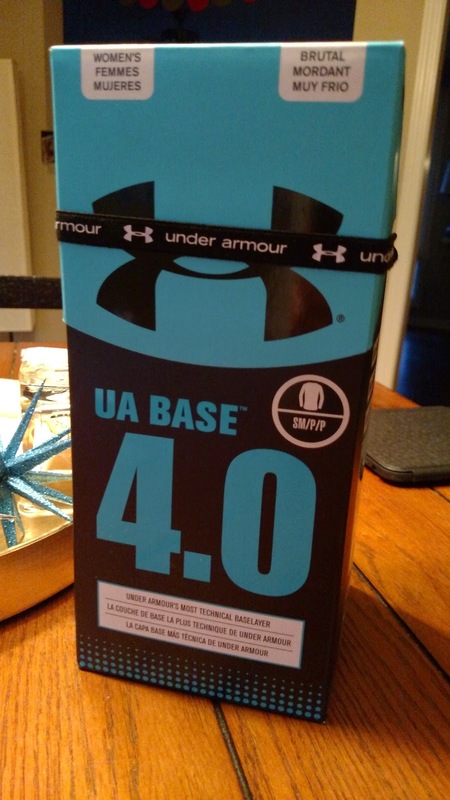 I wanted to share it again, because I still have this same set of UA 4.0, it still looks brand new after two whole winters of wearing and washing for both CrossFit and riding, I can't live without it, and I hope some of you add it to your Christmas list! I literally have not worn my winter coat a single time since I got this stuff, and that's not something most equestrians can say in Indiana. Prices appear to have fallen too - I've seen the shirt as low as $45 on Amazon. Enjoy! Mother Nature has decreed that it's time to review my new Underamour 4.0. Californians are not invited to this party. Not that they want to be. Also shown inside out, and shown with optional dog hair. Now for the performance. And keep in mind I have Reynauds and don't handle cold well at all. To really test it, I rode in this stuff with just a thin vest and summer tights over it in 35 degree weather and my core stayed so hot, my hands didn't get cold even though I wore summer gloves too. It was in the indoor - UA4.0 is definitely not meant to be windproof, so I wouldn't do that outside. I also wore it with one polar fleece shirt and a puffy vest over it for my lesson at PHS, when it was 28 and snowing, and I was so hot I got sweaty - but I stayed dry because those waffles wick moisture like crazy. It's truly remarkable how much warmer it keeps me than traditional UA. This is what the outside back of the pants look like. 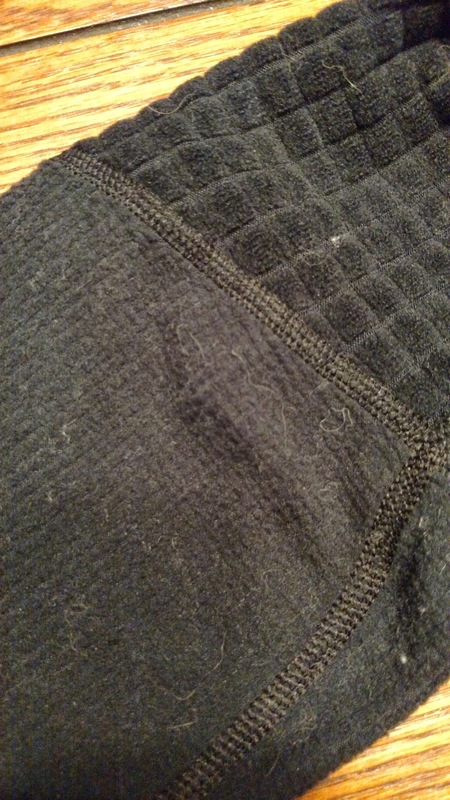 The waffle pattern does show through summer weight riding tights, but not through winter tights and breeches. But even better, it's so much more comfortable than traditional UA, which always left me itching with red horizontal lines on my arms when I took it off. I felt strangled by it, and always raced to the bedroom to take it off as soon as I got home. The 4.0 stuff feels like pajamas, I could happily wear it all day. I am so much more lazy about taking my barn clothes off when I get home now (much to my husband's dismay). She bought the shirt one size too big because XS was sold out. I wish it was the right size, but it doesn't bother me like this. All that said, if you go to buy it, you're going to find it's expensive - about $170 for the set. (Shirt) (Pants). You guys know how frugal I am, and I am telling you: this is worth every penny if you live in an area where it is regularly below 40F. I probably wouldn't have worn my super heavy insulated Carhartts and equestrian team coat through college if this stuff existed back then. I plan on taking good care of it, because I can't afford to replace it and I can't live without it now! (And edit, it has held up incredibly well for two years. I'll get years more out of this set, making the cost per wear low). That's a solid 20lbs of clothing right there. 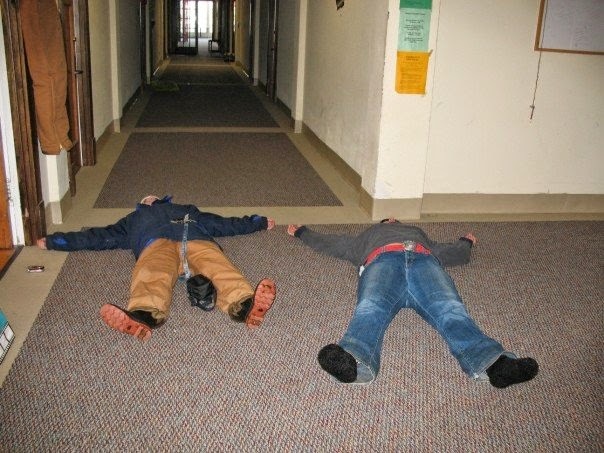 Freshman year, 2007. 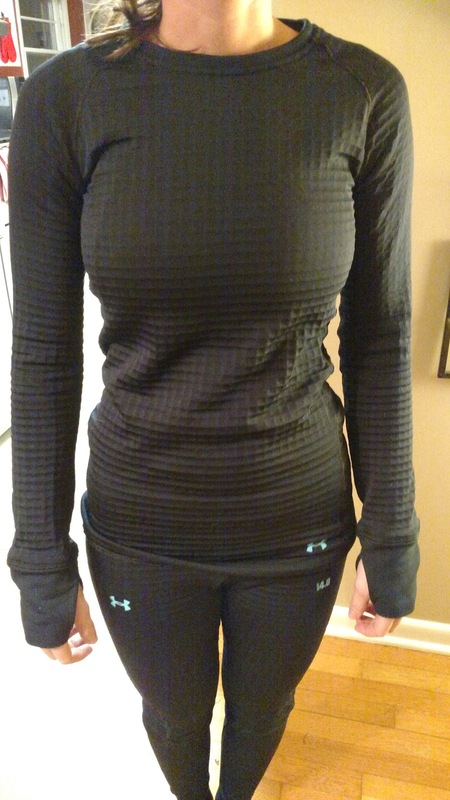 I have some regular UA that saves my life on a daily basis when it's cold here, but now I'm intrigued! Might have to throw a set of this on my wish list! Do it! 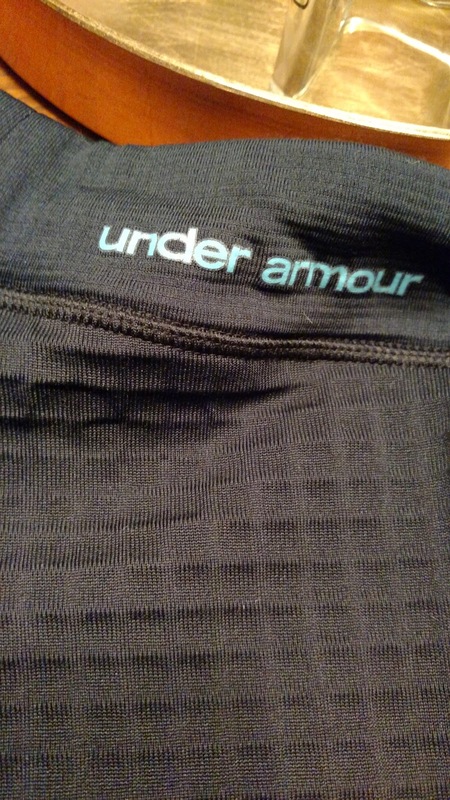 I can't overstate how much warmer and more comfortable this stuff is than the original UA. Do the bottoms of yours have a seam by your knee? 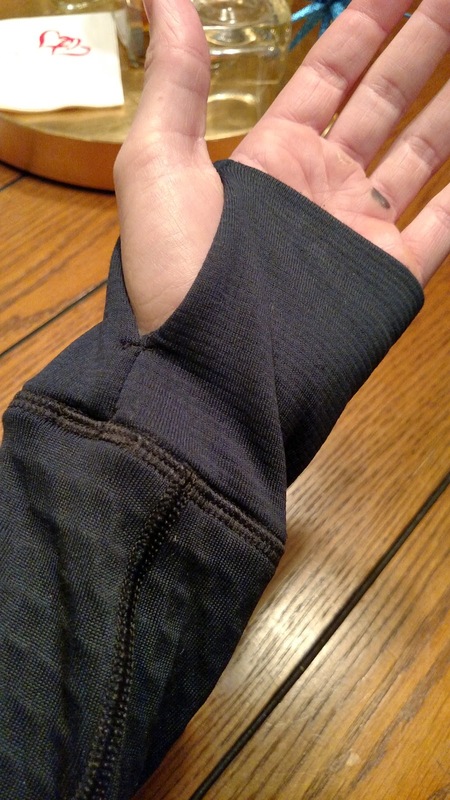 I bought some base 2.0 and they had a strange seam that since I was tall was literally on my knee so I returned them. Been a bit afraid to order any of the other base models but I literally have no long underwear for this winter yet! They have the seam shown between the small waffles and big ones. On me it hits about 3" down my calf so I don't notice it, but I can see it fitting differently if you're tall. And, full disclosure, I've never touched the 2.0 or 3.0 so it may be different. Amazon's returns are so easy, I'd give it a try and return it if it's the same. I bought the shirt after you reviewed it but mine looks far from new haha. I guess I really abuse it or something? It's still functional though, so that's good! Lol! No idea. I wash mine on cold probably twice a week and wear it four times a week, always dried in the dryer. I feel like I need this even though I live in the south, because I wear ski pants to feed the horses when it's below 50. Pathetic. You know I am an enabler, but the 4.0 is probably overkill for you. 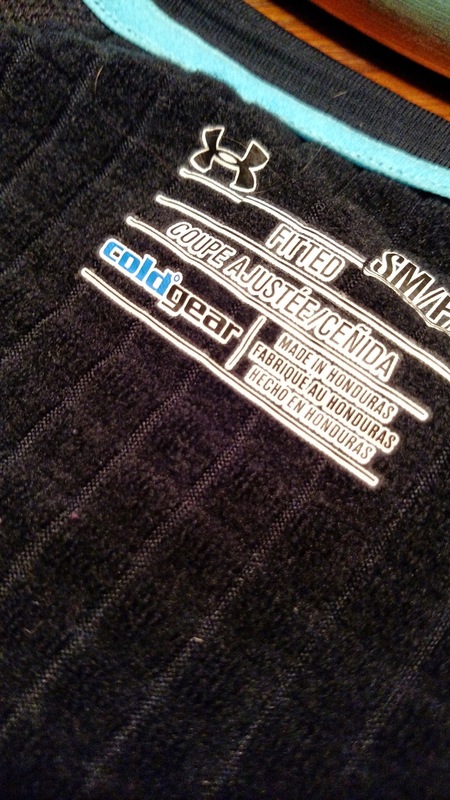 I can't wear it if it's above 35 degrees, I have to switch to Smartwool. This is timely because I'm just looking into some new options having moved to an arena that isn't heated. Nice! I just love it. Gosh I should really get this set! I hate wearing heavy carharts. ugh I have a regular UA shirt, which I love, but think I'll upgrade! Yes you should! My insulated carhartt bibs actually hurt my hip flexors after a day of doing stalls because the weight of boots + bibs was too much for my hip flexors to lift over and over. I'm so much happier with the UA than with the carhartts, and warmer too. Hey Californians go to the snow too, and also I am a weather wimp major and am really cold right now in my SoCal house. Its 54 outside! Well, screw my entire Christmas list. You just wrote me a new one ;) If I get cold, I do not warm up (I definitely have some circulation issues), so I'm always looking for warm layers! Ohhhhhh yes, you especially need this! I seriously have gotten too warm with it. It's magic. Thanks for the review! I bought some after reading this and it arrived just in time for our cold snap (-28C/-18F), I am pleased with it so far! Nice, I'm so happy to hear that! I hope you like it as much as I do.